End of December last year (2017), I went to the popular Burger & Lobster Restaurant located at Genting Highland. I've been wanting to go Burger & Lobster restaurant but something keep on coming up and I forget about it at the moment. Than one day, we're discussing on where should we spend time this weekend. After discussing with several ideas and stuff, we're end up going to Genting Highland and we choose to eat at this premium restaurant, Burger & Lobster. Wuuhuu~ *Can you see how happy my face in the picture.
" Try To Be a Rainbow in Someone's Cloud "
This time is a makeup haul from Colourpop. On January, I ordered some products from Colourpop, I don't have any intention to buy makeup at that time but my friend ask if I want to buy anything from Colourpop because we want to collect orders and get the worldwide free-shipping. Then, I get excited and browse through Colourpop website and most of the product of course catch my eyes but I have to think and speed wisely at that time to make sure I'm not over-spend. This is my purchase from Colourpop Cosmetics. As you can see, I got myself two Colourpop Eyeshadow Palette; All I see is Magic and Yes, Please! , Eyebrow Contour and No filter concealer. Ohh yeahhh! Most of you know what this box represent right. Last year, I thinking like why not buying a duck scarf as a self-reward for me. Because at the same time I'm also curious about the scarf and why people keep on talking about it. 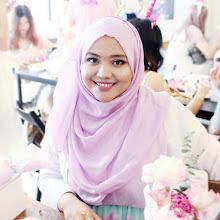 dUck scarves popular because it was founded by Vivy Yusuf, one of fashion influential person in Malaysia. She is soooo successful as a entrepreneur, as a fashion icon and also as a mom. 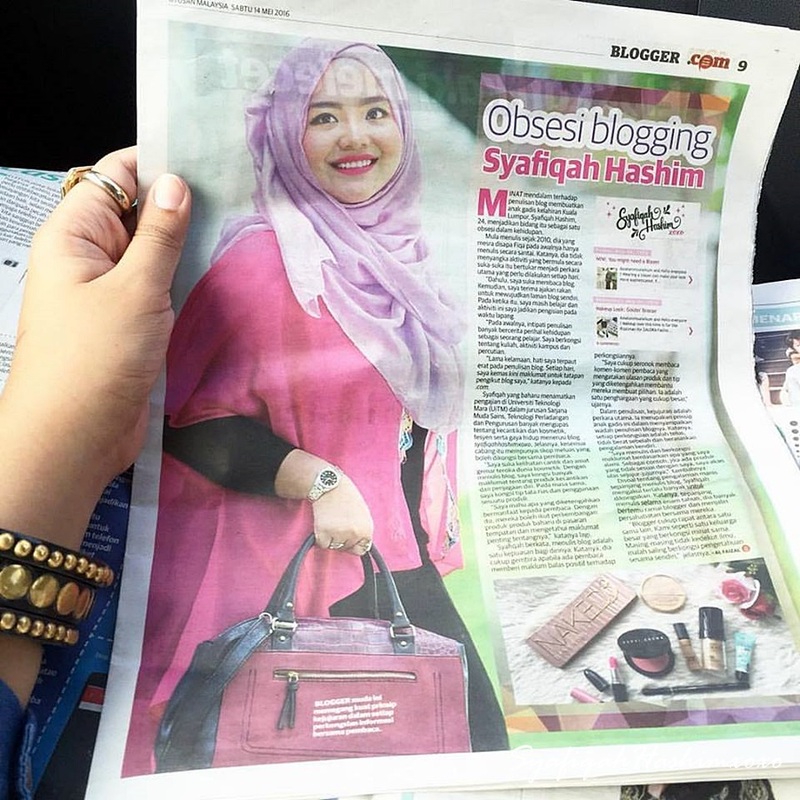 Most youngster in Malaysia take her as their role model (same goes to me).
" Do Small Thing with Great Love "
A swatches post for Baby Bright Lip & Cheek Matte Tint. It is a tint but comes in matte finishing that can be use for lip and cheek. Practically 2-in-1 product. Baby Bright is a brand under Karmart, one of cosmetics distributor and mainly known at Thailand and currently growing through out Asia. You can find several different products under Karmart like Cathy Doll, Jejuvita, Crayons and others including Baby Bright. Let's get back to the real deal which is Baby Bright Lip & Cheek Matte Tint. As you can see I got all the shade from this range and I'm quite excited about it because every time I got the whole range of the lipsticks I feel like my collection is complete. Wuuhuu. (you know what I mean. Heee..) Talk about the packaging, it comes in a small tube with white cap cover and have applicator. It looks like the same as any other liquid lipstick but mini version. I'm back with monthly favorites and this will be the first monthly favorites post for this year (2018). Sorry for the late update as it is middle of February because I'm a bit busy last couple of week. I'm trying ot fins a suitable time for me to blog again. Fuhh~ Most of my January favorites is a new product that I've tried and love it. So without any further due, let see what is my pick's on January 2018. I was introduced to a new Premium Skincare from Korea last month. It is a NEW Skincare range that come in Malaysian market that is KULIN SEA. This brand believe that beauty should not be hard work and in this world filled with endless choices. The formulation for this skincare rage were created that work like magic. It is full with natural ingredients that diffuse into the skin and bring inner radiance to the surface. This brand is a HALAL product from Korea and it is 100% made in Korea. Well, you know Korea technology works these days. Everything is soooo advance over there. Since we're still have time before our flight check-in, around 2 hours like that, our supir bought us at one village that introduce us to the Lombok Traditional cultural like that. This place wasn't actually on out list but to kill-the-time before out flight. out supir bring us to this "Industi kerajinan Patuh". You can tell that they selling tradional stuff by seeing at the board. This place is where you can experience traditional hand weaving, know more about this Patuh culture.
" Let your Smile Change The World, But Don't Let The World Change Your Smile "
Last year, I stumble upon this Silkygirl Brow and Nose Shadow powder at Watson Mid Valley. The first reason I enter Watson is to but facial mask but I end up buying this product as well. The main reason I bought this because at that time I'm really looking for a perfect brown color for my skin and I saw this and test it out. The color turns out just the way I want. This is how Silkygirl Brow and Nose shadow looks like. Ohh yahh! Another pluss that I found is the packaging is travel-friendly. Because it comes in a mini compact case that will fit every makeup bag. Since than, I knew I'm gonna bring this along in my makeup bag.